You’ve heard all the benefits of having enough vitamin D in your system: it helps prevent bone problems, fights fatigue, can help with your mood, and more. But even though you know vitamin D is important, knowing how and why – and even how much of what kind you need – is confusing. In fact, there’s so much conflicting information out there about vitamin D that it’s hard for even the most health savvy to know what’s true and what’s not. No worries: I’m going to lay it all on the table. I’ll go over the different forms of vitamin D, explain what is the difference between vitamin D2 and D3, and discuss how you can avoid winding up with a vitamin D deficiency. Before we get started, let’s rewind a bit and get the background information on how exactly vitamin D works. Vitamin D is a bit different than other nutrients. It’s a fat-soluble vitamin that isn’t found naturally in very many foods. First, vitamin D is essential for building and maintaining strong bones, as it helps the body absorb calcium. It is also key for carrying messages from the brain, allowing the muscles to move, and fighting infections in the body. There’s even evidence suggesting that vitamin D can protect against colon cancer, breast cancer, and prostate cancer as well as osteoporosis (1). Vitamin D3 deficiency symptoms can include general aches, pains, and fatigue as well as frequent infections. In children, a deficiency of vitamin D can cause rickets, a condition leading to soft and weak bones that become curved. In adults, osteomalacia, a weakening of the bones, can be a direct result of vitamin D deficiency. So how do we get enough of it to prevent a deficiency? Vitamin D is known as the “sunshine vitamin” for a reason. 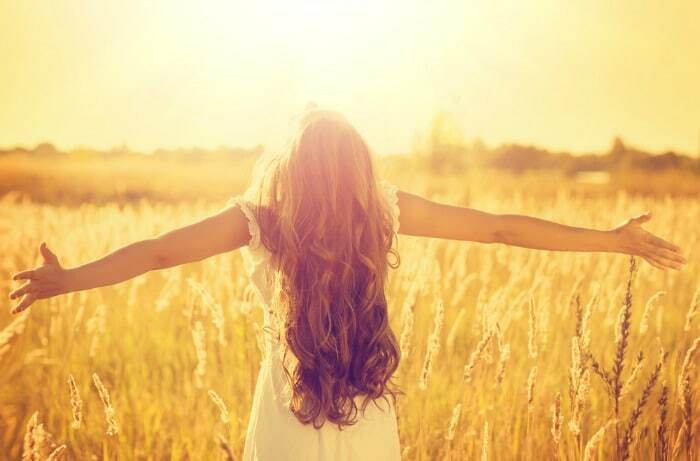 When ultraviolet rays from the sun touch our skin, it triggers our body to produce its own vitamin D.
Because vitamin D isn’t found in very many foods, getting a few minutes of sun exposure every day is vital to helping our body produce enough vitamin D.
There are lots of different factors that determine how much sun you need to meet your daily vitamin D needs. Just a few include the time of year, time of day, where you live, and your skin type. If you are fair skinned with light eyes, you can probably meet your vitamin D needs with just 15 minutes of sunlight each day. But if you have darker skin, it can take up to six times longer. That means you would have to spend up to 2 hours outside just to get what you need. This is because melanin tends to “compete” with the substance that triggers vitamin D production, making it harder to get what you need (2, 3). Besides factors like season and skin type, the time of day is especially important. A 2008 study suggests that that noon is the best time to get the most sun in order to produce vitamin D, while cutting the risk of skin damage. And to maximize vitamin D synthesis, it helps to remove your jacket and sunglasses (4). If you’re not living someplace like sunny Florida and you have limited exposure to sunlight during the winter, getting enough vitamin D can be a bit tricky. It can also be difficult to meet your needs if you have darker skin, as it becomes more difficult for the skin to produce vitamin D.
This is when your diet can come into play. The recommended dietary allowance for vitamin D is about 600 IU for children and adults up to age 70 and 800 IU per day after that. Although sunlight really is the best source of vitamin D, it is possible to get some vitamin D through your diet to help meet your needs. Clearly it’s important to make sure you’re getting enough vitamin D, either through sun exposure or from somewhere else in your diet. But unless you’re eating lots of fish and mushrooms or spending a few hours outside every day, it can be challenging to meet your needs without a little help. In fact, some studies have estimated that only about 23 percent of people are actually meeting their vitamin D needs in the United States, meaning 3 out of every 4 people is deficient in vitamin D (5). 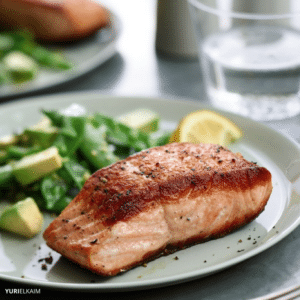 Vitamin D supplements are an easy way to boost your vitamin D levels without meticulously calculating how to fit in extra servings of fish to get what you need. But if you’ve ever wandered down the supplement aisle at your local pharmacy, you’ve probably noticed that there are different types of vitamin D supplements available: vitamin D2 (ergocalciferol) and vitamin D3 (cholecalciferol). Which one you should choose to make sure you’re getting your daily requirements? Vitamin D2 can be found in some plants, such as mushrooms, in response to ultraviolet radiation. It’s also frequently used by food manufacturers because it’s cheaper than vitamin D3. They often use this form of vitamin D to fortify foods, boosting vitamin D2 content and improving the nutrient profile. Vitamin D3, on the other hand, is the same form of vitamin D that our body produces in response to sun exposure. 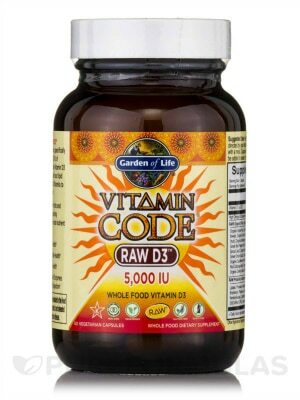 This is the more biologically active form of vitamin D, making it more readily absorbed. Vitamin D3 is also used for a variety of processes in the body, such as promoting the uptake of calcium in the bones. Although they both bear (almost) the same name, all forms of vitamin D are not created equal. Vitamin D2 is more commonly used in prescription supplements and over the counter pills. This is because scientists realized that they could cheaply and effectively produce a form of vitamin D (vitamin D2) through exposure to ultraviolet light. 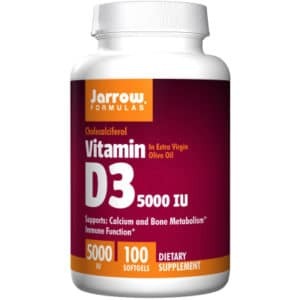 Vitamin D3, however, is the more active, bioavailable form of the vitamin, and if you’re considering taking a vitamin D supplement, this is the one that you should be looking for. A review published in the American Journal of Clinical Nutrition made a strong case against using vitamin D2 in supplementation. In the paper, they note that vitamin D3 was found to be about 4 times as potent per unit mass when compared to formulations of vitamin D2. They also reference studies showing that one unit of cod liver oil (vitamin D3) could be just as effective in the prevention of rickets as 4 units of Viosterol (vitamin D2) (6). Not only that, but in a study looking at the effect of both vitamin D2 and vitamin D3 on raising vitamin D serum levels, they noted that supplementing with vitamin D3 increased serum levels 70 percent more than the increase seen with vitamin D2. It all comes back to minor differences in their chemistry as well as the metabolic pathways that they undergo within the body. Vitamin D3 is much easier to convert into its bioactive form, which can then be quickly metabolized to its hormone form once it’s in the kidneys. Converting vitamin D2, on the other hand, is a much longer process. Also, the stability of vitamin D3 is another advantage that should be taken into consideration. When synthetic vitamin D3 is created for use in supplementation, it is produced in a similar way to that which occurs in both human and animal skin as a result of sun exposure. Meanwhile, the way that vitamin D2 is produced leaves it inconsistent, unstable and less bioactive, especially when exposed to different environments, temperatures, and humidity levels. From general effectiveness to overall stability, it’s pretty clear that there are some major differences between vitamin D2 and vitamin D3 that should definitely be taken into consideration. If you’re thinking about supplementing with vitamin D, that’s great. I highly recommend supplementation to avoid deficiency, especially if you are in a high-risk group or you don’t get enough sunlight during the day to meet your needs. Real food vitamins work best, as the ingredients are all raw foods, improving absorption and action of the vitamin inside the body. One product that I particularly like is Garden of Life Raw D3, which can help meet your needs without all the synthetic chemicals. You can also talk to your doctor and ask about getting your blood levels tested to see if you might be among the 75 percent of the population deficient in vitamin D. Doctors often prescribe mega doses of vitamin D, supplying a large amount in a concentrated dose, although these are often in the form of vitamin D2. 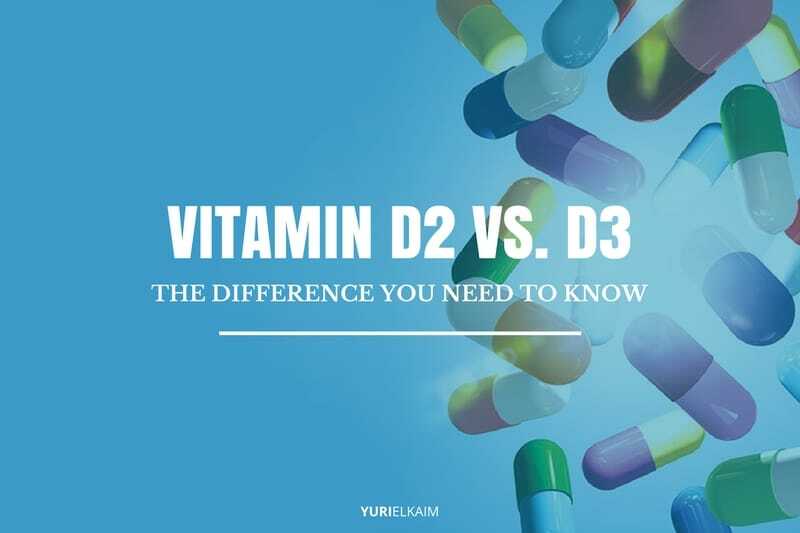 When comparing vitamin D2 vs D3, you really have to take all factors into consideration when determining which supplement is right for you. Although vitamin D3 sometimes comes with a higher price tag, it’s been shown to be more effective at preventing disease, better at increasing serum levels of vitamin D, and more stable in the way it’s manufactured. So, it seems the best bet is to first make sure you get plenty of sunlight when able and squeeze in some servings of foods rich in vitamin D when you can. And then, if necessary, supplement with vitamin D3. It’s always a good idea to maintain an overall healthy lifestyle to prevent deficiencies – vitamin D or otherwise – to keep your health in tip-top shape. Is your body giving you warning signals that something is a little off? My quick and easy Health Score quiz will help you assess your health along 20 different criteria. It’s simple to get started. Just take the quiz below! 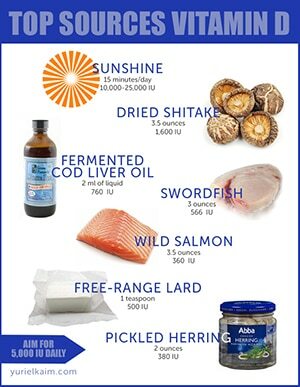 Download my Vitamin D Foods 1-page printable. It's 100% Free! Just tell me where to send it!